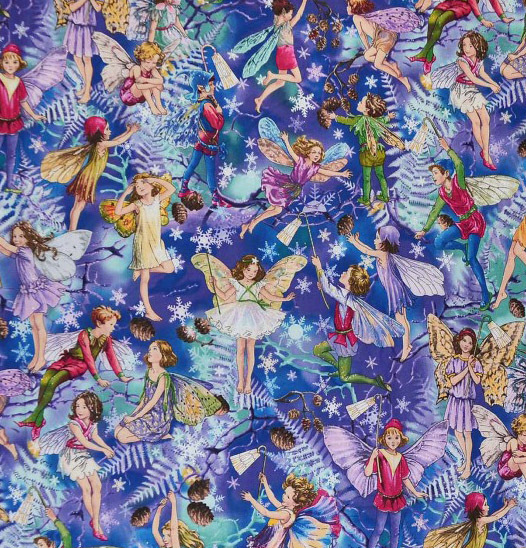 Delightful fairy print on a blue background with silver glitter detail, 100% cotton from the Michael Miller cotton collection. 112cm / 44" Width, this fabric weighs approximately 150gsm. Multiples of a size will be cut as one piece unless requested otherwise. I've bought this to make myself a Christmas skirt, it's lovely fabric. I love this fabric it is so pretty and good quality. Cuts and sews well. It's so nice I don't want to cut it.